Understanding the principle upon which liberty stands. An example of how understanding our history better helps us to interpret the Constitution. Understanding the meaning of the Preamble to the Constitution. Discovering the meaning of the commerce clause. 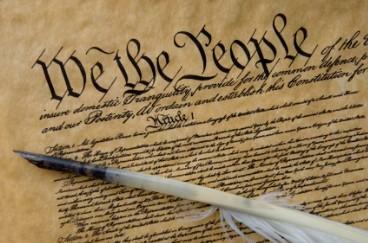 An examination of the First Amendment to our Constitution. An examination of the Second Amendment to our Constitution. What Thomas Jefferson taught about religion and politics. Defining what a republic is and how ours operates. Understanding why the free market is the best system. A look at different ways that people try to subvert our Constitution. How liberty and prosperity go together. Defining man's rights and where they originate. Examining the freedom to choose. Understanding what morality is and the role it plays in our society. How the culture of our society affects our political life. The role religion played in the writing of the Constitution. Early government documents relating to religion in America.